Johnston C, Martin B, Polard P, Claverys JP..
Postreplication targeting of transformants by bacterial immune systems? Johnston C, Caymaris S, Zomer A, Bootsma HJ, Prudhomme M, Granadel C, Hermans PW, Polard P, Martin B, Claverys JP..
Berge MJ, Kamgoué A, Martin B, Polard P, Campo N, Claverys JP..
Midcell recruitment of the DNA uptake and virulence nuclease, EndA, for pneumococcal transformation. Johnston C, Polard P, Claverys JP.. The DpnI/DpnII pneumococcal system, defense against foreign attack without compromising genetic exchange. Johnston C, Martin B, Granadel C, Polard P, Claverys JP. .
Programmed protection of foreign DNA from restriction allows pathogenicity island exchange during pneumococcal transformation. Mirouze N, Berge MA, Soulet AL, Mortier-Barriere I, Quentin Y, Fichant G, Granadel C, Noirot-Gros MF, Noirot P, Polard P, Martin B, Claverys JP..
Martin B, Soulet AL, Mirouze N, Prudhomme M, Mortier-Barrière I, Granadel C, Noirot-Gros MF, Noirot P, Polard P, Claverys JP..
Quevillon-Cheruel S, Campo N, Mirouze N, Mortier-Barriere I, Brooks MA, Boudes M, Durand D, Soulet AL, Lisboa J, Noirot P, Martin B, van Tilbeurgh H, Noirot-Gros MF, Claverys JP, Polard P..
Structure-function analysis of pneumococcal DprA protein reveals that dimerization is crucial for loading RecA recombinase onto DNA during transformation. Charpentier X, Polard P, Claverys JP.. Induction of competence for genetic transformation by antibiotics: convergent evolution of stress responses in distant bacterial species lacking SOS? 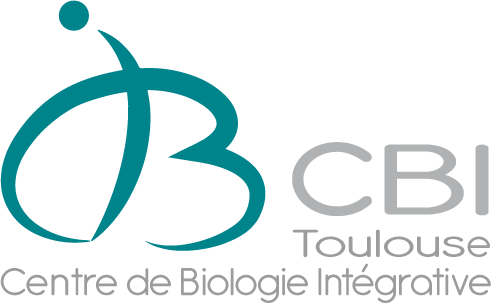 Attaiech L, Olivier A, Mortier-Barriere I, Soulet AL, Granadel C, Martin B, Polard P, Claverys JP. .
Role of the single-stranded DNA-binding protein SsbB in pneumococcal transformation: maintenance of a reservoir for genetic plasticity. Costes A, Lecointe F, McGovern S, Quevillon-Cheruel S, Polard P.. The C-terminal domain of the bacterial SSB protein acts as a DNA maintenance hub at active chromosome replication forks.